We’d love your help. 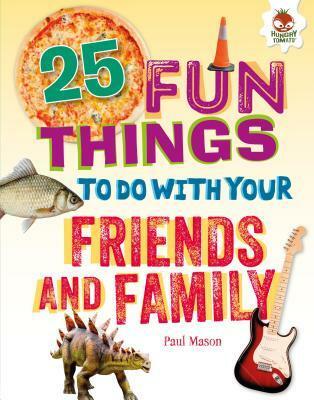 Let us know what’s wrong with this preview of 25 Fun Things to Do with Your Friends and Family by Paul Mason. Turn off the screens and reconnect in real life with friends and family. Readers will be inspired to host a tea party, draw a family tree, interview interesting people, and save the planet before bedtime with 25 activities and projects to do with others. 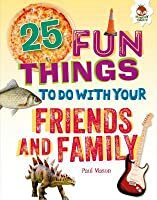 To ask other readers questions about 25 Fun Things to Do with Your Friends and Family, please sign up. My Review: With summer right around the corner now is the time to grab this kind of book. We will be using this and others like it this summer to have fun on days we can't go out due to the weather etc. This is a great little book with 25 amazing projects to do with kids of all ages. Although this is made for younger children you older children could help supervise.